You will agree with me that we all like to look beautiful, right? There nothing breathtaking like a beautiful face in front of the crowd. You can capture the attention of people hence you are able to drive a point with courage and confidence. How do you attain a beautiful face? For you to look beautiful and attract everybody’s eyes, you must take care of your look. What are people seeing that is getting their attention? you must dress to impress, your hair should be neatly done and above all, your makeup should be on point. What does your makeup comprise of? Your makeup is the way you enhance your beauty. It is through how you apply your foundation, lip gloss, lipstick, mascara and how you maintain your eyebrows. For you to attain a pretty face, you must be able to attend to your eyebrows too. You maintain your eyebrows by shaping and brushing them to make them look good and attractive. They are a natural feature on your face and they need a little touch every day when putting on your makeup to polish up your look. How important is shaping your eyebrows? Like I mentioned earlier, they are a natural feature that is found on your face. Naturally, they have their own shape but with a little touch, we tend to enhance the way they look so that they look more eye-catching and attractive. As you will see in this guide, the shape of your face will so much determine the thickness and the shape of your eyebrows. It is true that the shape of the brows can change your look and all you want to do is maintain a simple balance on your face by the time you are done with the makeup. This is the ideal shape that every woman wants to have. You have a wider forehead, a prominent cheekbone and a narrow chin. With such a shape, you out to have a soft angled eyebrow shape. The shape is supposed to go straight up and then gently curve are the top and down. With this type of face, your forehead is as wide as much as it is long. Your face tends to be widest at the chin. When you have such a shape, you should aim to make your face less round and longer by making a line ego up and down to make a high arch. That will help maintain balance. If you have search kind of a face, your forehead, cheekbone and jawline have the same width and you have a narrow chin. Maintain a balance by making the long face look shorter. To do that, use straight horizontal lines to stop the eye from moving up and down. What is prominent in this shape is that not only is the forehead, cheekbone and the jawline of the same width, but also have a visible square jawline. With this kind of face shape, you need to make the brows to be strong and with soft curves. You can go for thick brows with a strong colour and make sure you define the peak. the angled brows will surely maintain balance on your face. You don’t want to walk around looking like a box on your face, do you? The face is small as of oval but has a chin that tapers at a point. You need to make rounded low arch brows to give a more natural look and if you have a short heart face shape, then adding a highly angled arch will sure add length to your face striking a balance in the process. The shape is not common. With the type of face, you tend to have a very angular face with a forehead that is short and a face that is wide at the template. You need to curve and make your brows stronger. With this type of face, your aim is to soften the angles and make the widest part appear less wide. With the above information, you are easy to start on your brows. At least now you have an idea of what is expected on your face. This is vital. You just take a pencil and start drawing your brows. You need to know where to start the process. The starting point is different for every individual and it is your task to mark the starting point on your face. Do you know where the brows should start? Every brow should start at the outer edge of the bottom of your nose. This is the point about an inch above the inner corner of your eye. Using a tweezer will help you find a perfect angle on where to start. Once you locate the point, mark with a pencil and you are good to go to the next step. Just as it is vital to know where to start, it is equally important to know where you are supposed to end your eyebrows. To do this, also use a tweezer to locate an angle against your cheek. Make sure that the pencil ends at the bottom of your nose. Make sure that it is the outside corner of your eye in a straight line. Determining your finish is vital because it will help a lot when it comes to the shape of your tail. The tail is supposed to look natural and it is by knowing where to finish that you will know when you start shaping your tail. There is no rule except the rule of the shape of your face here. you get to decide the thickness of your brows depending on how you find your face to look like. What you should have in mind is thinking of how fair and better you want it to look. While you can make the shot here, you need not overdo it. make sure you look as natural as possible. At least make sure to have not more than half an inch in each brow. You don’t want to make them appear like you want them to walk away from your face by themselves. Once you have decided on the thickness, its time to make the pluck but first, you need to draw a line using your pencil observing the natural curve line so that they look more real. The aim is to make them look natural and beautiful at the same time to make the mark on the natural curve. This is the easiest way you can use to remove the excess hair. It involves the use of a tweezer and the food thing about it is you don’t have to be a pro to do it. weather at a beauty parlour or at home, you can easily remove them without any effort. Tweezing is cheap and very precise. That means you cannot miss excess hair that needs to a pluck. It also has its own cons especially if you are not used to the tweezer. It can be painful at first and not to mention the steaming that you need on the face to make the plucking easier. It is another popular way of removing hair that is used all over the world. It involves the use of hot wax poured on your skin a using a cloth on top of the hot wax, the cloth is pulled and with it comes out the excess hair that needs to be removed. You might want to do this in a beauty parlour because the pain involved will make you want to quit if you are doing it at home. you also need a professional to do it to minimize the blemishes that are involved. The good thing about it is that the hair takes long before it grows back again. Threading came to minimize the pain and the hustle involved in both the tweezing and waxing. You might need a professional to do this because it involves the use of a thread that only a pro can do that. The thread is rolled on your brow and when pulled, it comes up with the excess hair targeted. With the three above methods, you are sure to get rid of the excess hair. Remember that you need to work with your face shape and as much as possible avoid removing hair at the top of the curve. When it comes to shaping, it mostly involves the removal of excess hair at the bottom except on unavoidable situations. Now that you are still plucking, you need to take note of this step. That is because it involves shaping the arch to a more polished look. To shape, mark the centre of the eyebrow and make sure the arch starts to the outside of this point. When shaping, make sure you aim at making a tail. Mistakes are made at this point. That is because people don’t know how to make a natural tail. You should make sure that there is no difference at the tail of the real brows and the made tail. It should be made as natural as possible. This is a point where you remove the missed hair. To do that, you need to brush your brows upward and trim with some scissors any missed hair. Also, you need to know how long you should have the brows and trim to the size you want. If you are putting on some makeup, this is where to do it. with some well-made eyebrows, you can now be your make up for a more finished look. 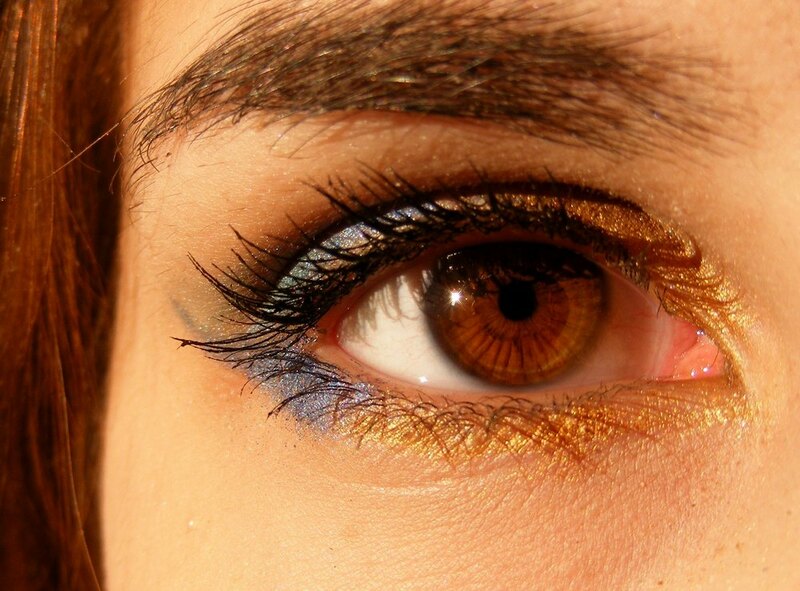 For you to do this, you should remember that when highlighting the eyebrows, you should use a powder. The shade of the colour should also come to mind when doing this. That means you should know what shade works for you best at this point. For dark-haired women, you should aim at going one or two shades lighter from the shade of your hair shade and for light-haired, aim at going two shades darker. Now that you know that, make your self pretty. Use the shades that are of your type and polish up with a brush. If you must use some eyeshadow, compliment tour brows and maintain a balance on your face before you step out and rule the day. To have perfect eyebrows should not be difficult. 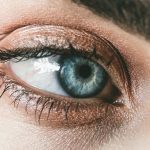 All you need if follow some simple laid down rules on how you are supposed to start and finish the process of making your brows without any mistake. Now that you have the guide, make sure you always pop out liking gorgeous and beautiful.